Set of 3 Wooden Cubes Wall Mounted Floating Shelves. 3 Sizes 9", 7", 5.1/2"
Set of 3 Wooden Cubes Wall Mounted Floating Shelves. 3 Sizes 9", 7", 5.1/2". Bought these from Focus years ago. They have never been used. Four Tier Industrial Style Shelving Unit. Accessories shown in the pics are for display purposes only and not part of the sale. A lovely, contemporary round wall shelf unit. 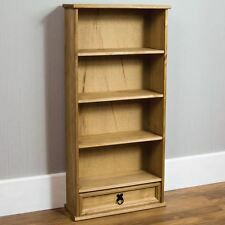 2 individual shelf sections, ideal for Kitchen / bathroom storage. Accessories for display only and not included. Wall fixings not included. 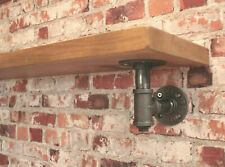 This rustic wall shelf is great for storing accessories upon and this shelf is wall mountable. Would be the perfect wall accessory for a hallway, living room or kitchen. 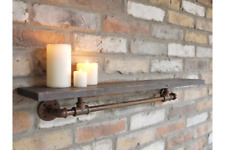 Industrial Gold Pipe Wall Shelf. Babele is a classic tower display unit in 10 mm-thick curved glass with welded and bevelled 10 mm-thick glass shelves. Its in stunning condition throughout, there is one small chip on the underside corner of one shelf, otherwise its perfect. A Lovely Rack for your bonsai tree collection. Whether for the bathroom, kitchen, hallway or office - this decorative piece of furniture is the perfect addition to any living area and an absolute eye-catcher! A pipework wall bracket on each side of the unit supports it and will need four sturdy screws and rawl plugs for fixing. (Not included). I remove all nails and rough edges and give it an antique pine stain & have finished it with Bee's Wax which enhances the knots and grain of the wood. 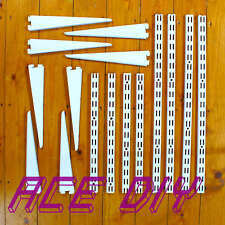 Screws & raw plugs are provided for you to hang your Wall Unit. Briwax / Walnut Finish. 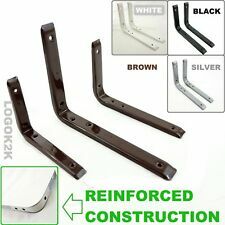 Three Wall Hanging Brackets Are Included With Your Order. A Really Lovely Set of Shelf Units That Look and Feel Great. It Saves Trees And Looks Better. SKU: MC0505. Shelves are 6.5cm deep x 77cm wide and when evenly spaced are 10cm apart. Easy Self Assembly. This bookcase has a great x shape design which is modern and stylish. It has 4 tier shelving for storage in different lengths. This is great item which will match any room decor. • Contemporary "X" design shelving system. SMALL Contemporary Style Round Wall Cabinet. Lovely as a gift for a house warming present. Also great for the kitchen to hold spices and jars.